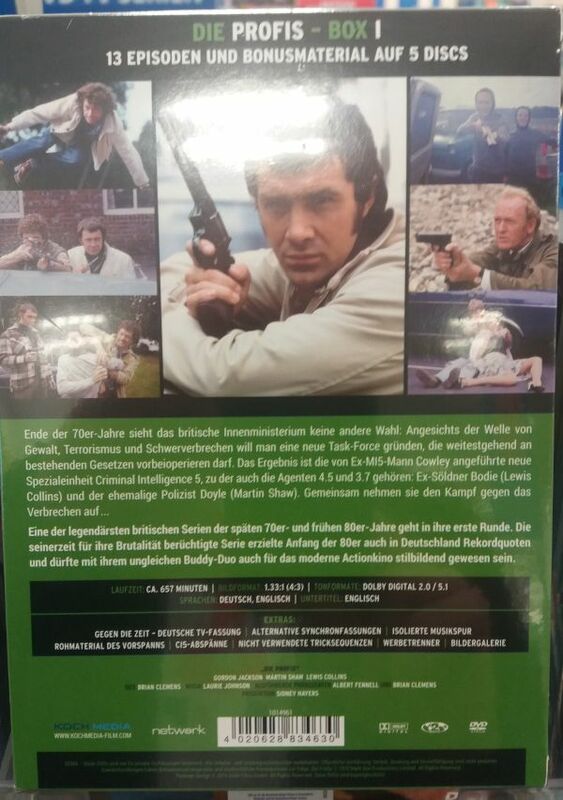 'The Professionals' booklets/books are far more in depth than 'Department S' and 'Randall & Hopkirk'. Arrrggh! You're killing me! It's getting harder to be patient waiting for my Blu-Rays! Hopefully I'll have them by this time next week at the latest. Yes, they take a while to read! My Blu-Rays arrived today and I am now settling in to watch Old Dog With New Tricks. The difference in picture quality from the Confender DVDs is spectacular! Thanks again to everyone who helped answer my questions! Cheers Mates! Next time I pop across the pond I'll shout you drinks at your local! Be careful what promises you make around here, some of us might just take you up on it! Glad the Blu-Rays are a hit - I just picked MkIII myself in the Network sale as it 'appens. Always worth keeping an eye out for. You guys were right! Watching the Blu-Rays is like watching The Professionals for the first time! I'm also highly impressed with the "Viewer's Notes". It's a freakin' book crammed with information! A cool bonus feature to the set. So looking forward to this set. Didn't know that. Wow! That's cool. Here's part of that NAAFI video. The German front cover looks like a clone of the UK version. I presume Network licenced it Koch Media as I see Network's name on the back cover. Since Gordon Jackson had a fine, distinctive voice I wonder what would be like to hear George Cowley speaking German. Trust me, any of these classic shows dubbed into a German is usually pretty dire and most of the locals will concur. A taster of MK IV here. The Professionals on BD - one of the absolute very few shows EVER that mrs jno really sits down and watches with me. 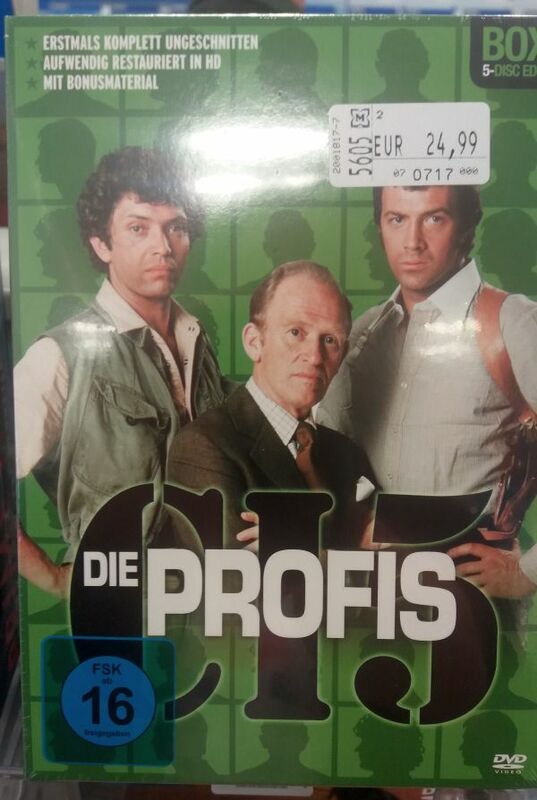 The Professionals - fun for all the family. I received my MK IV DVD set yesterday morning. Haven't started wtching it yet but I've been going through the companion book. As ever, excellent stuff. I haven't even ordered mine yet! Mine should be waiting for me at home. Don't rub it in chaps! Does anyone know if the new Blu-Ray set is coded for Region A? Yay! !.Great news for Yank fans of The Professionals! I wonder if this will be available on the DVD as a .pdf. 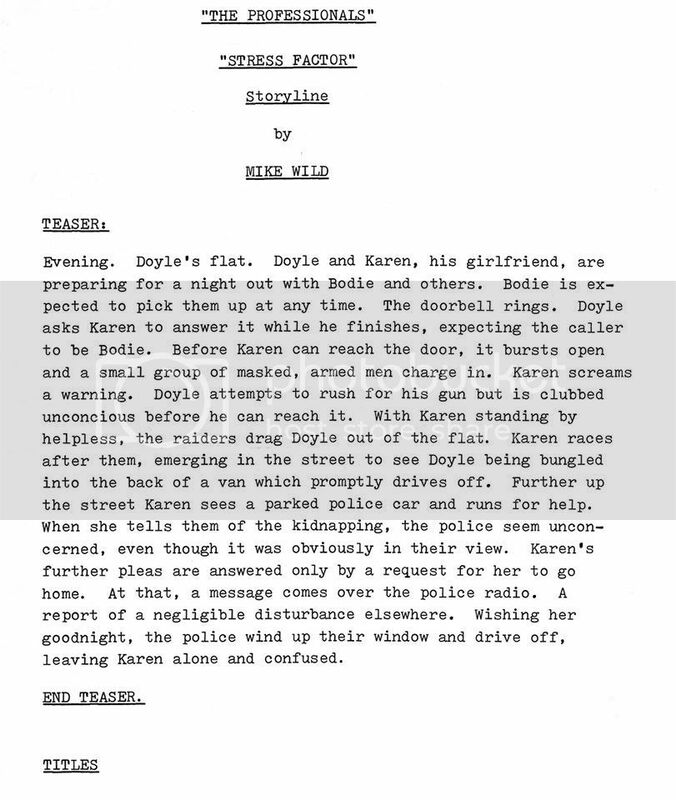 Nope; I can't recall sending that over to them; I have the full storyline from Mile himself....great guy. I read over on Dave Rodgers, Profs site that Raymond Menmuir, producer of The Professionals, from series 2 onwards and a few other notable series over the years passed away in March. I probably should have started a thread for this, but went against the idea due to not having much info and the fact it has been 2 month since it happened. Have to confess I haven't watched a Pros episode for a few months. Very out of character, but personal issues have taken up most my time. Wasn't there an unofficial Lewis Collins site? Or was I dreaming this? Anyone taken the plunge and bought the new BD set? DSCarter?